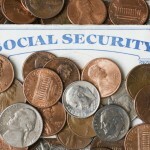 Social Security is one of the most talked about subjects in retirement income planning. It’s one of those rare financial topics that eventually impacts everyone. In fact, according to the Social Security Administration, about 58 million Americans received $816 billion in Social Security benefits in 20131. And yet, even with so many people reaching the age to withdraw benefits, so few know all their options. Many default to taking Social Security at age 62 to collect benefits longer, or waiting to age 70 to receive the maximum benefit amount. Many of these recipients don’t know what else to do, nor do they know where to find information on their options. Using CreativeOne’s Social Security Suite, you can help prospects understand their options for receiving benefits. Then, you can help them identify gaps in their retirement income plans and offer potential solutions to achieve their goals. Our exclusive Social Security Suite is a treasure trove of tools and resources to help you in solving a client’s overall income planning needs. Let’s say after a thorough analysis, you and your clients determine they need $60,000 a year in retirement income. Then by utilizing the Social Security Timing software you show them a maximum amount they can collect from Social Security, which comes to $30,000 a year. 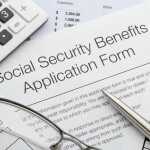 That leaves a significant gap between what the prospects need and what they will receive from Social Security, which isn’t surprising since Social Security was never designed to be solely relied upon fore retirement income. To fill that gap, the prospects probably have some retirement accounts, such as a 401(k) or IRA. But, they’re concerned about those savings running out too soon. Another option is reducing their expenses so they can live on less in retirement. You could show them how using their non-income producing assets in an annuity could potentially provide enough guaranteed income for life to help fill in that gap. If all goes well, you will have helped a client solidify their retirement income plan. So how do you do all this? That’s where CreativeOne can help. Our exclusive Social Security Suite, located on our Dynamic Marketing Portal2, is a treasure trove of tools and resources to help you in solving a client’s overall income planning needs. Generate leads by hosting a Social Security seminar. The suite offers a full kit with direct mail invitations, a reservation service and sample presentations. As a bonus, you get 90 days free access to Social Security Timing (see below) when you purchase a direct mail campaign. Promote yourself as a resource with newspaper ads, radio scripts and a direct mail program. Gather prospect information with fact finders and appointments sheets. Use our full library of marketing materials and informational brochures to give to clients at the point of sale. Educate yourself on Social Security provisions with news articles containing hints on how to leverage benefits for your clients. Another component of the Social Security Suite is Social Security Timing3 software. What differentiates this software from basic calculators and most software packages is how it incorporates spousal and survivor benefits. Social Security Timing will examine hundreds of possible combinations, including 81 possible age combinations across nine possible election strategies to find the one option that offers the highest expected lifetime benefit. The client’s report will show a suggested strategy, first alternate and second alternate strategies, and an earliest possible strategy. The software will also show clients a pair of “switch strategies,” the restricted application strategy and the file and suspend strategy, which could further optimize their Social Security income. Guarantees provided by annuities are subject to the financial strength of the issuing insurance company; not guaranteed by any bank or the FDIC. Agents may not give tax, legal, accounting or investment advice. This program is an exclusive offer through CreativeOne to a third party vendor and is only available to producers who are contracted with CreativeOne. CreativeOne is not responsible for the results of the program or any liability stemming from the use of it. Producer is responsible for compliance with insurance advertising, marketing and lead generation regulations, which vary from state to state. As in the case with any marketing program, securities licensed producers are responsible for obtaining approval from their broker dealer or RIA before implementing this program. 3 Social Security Timing is a third-party vendor. CreativeOne is not responsible for the results of the program or any liability stemming from the use of it.